The history of Israel Media Page is designed to present visitors with various topics and periods of Israel's history in different media formats. These formats include video links, You Tube links, audio links and pod casts. THE EXODUS is the topic of this History Channel feature. The Exodus of Israel out of Egypt is studied using modern technology and archaeology in Exodus Decoded. Much of this narrative is recorded in the Old Testament Book of Exodus. The date of the Exodus remains a controversial topic among Biblical scholars. Two primary dates are argued for; one in the 15th century BC, the other in the 13th century BC. GENESIS 4 is the narrative about Cain and Able. In this chapter Cain struggles with his relationship to God and his brother Able. Cain's struggle ends in the first recorded murder in human history. Listen as Cain murders Able, jealous of God's favor and Able's sacrifice. Cain is banished to a life of toil and wandering. Visit the Cain and Able page for a more in-depth look at this fascinating story. Continue in the Old Testament to follow the descendants and ancestors of Cain, and how his seed was primarily one of wicked men. This link is to an audio index of the Hebrew Bible. This Hebrew Audio Bible is from the Academy of Ancient Languages. This website is an online resource for learning ancient languages. Paul Billington holds a press conference on archaeological finds in Israel of Biblical interest. KING DAVID, the second and greatest King of Israel, is discussed and studied in this video. David ruled around 1100 BC - 1000 BC. He was anointed by the prophet Samuel after King Saul, the first King of Israel, disobeyed God and fell out of favor. 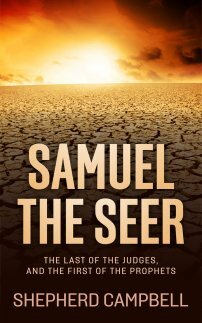 The Old Testament Book of I Samuel depicts the struggle between Saul and David, and Samuel's fascinating influence on the history of Israel. II Samuel records David's reign in great detail, including his adulterous and murderous affair with Bathsheba. THE NEGEV is the desert region in the south of Israel. All of the patriarchs wandered through this area at one point during their lifetimes. David, the greatest King of Israel, dwelt in the Negev throughout his life, including his time in Ziklag. Beersheba is located in the Negev, where Abraham dwelt and built a well. Today inhabitants in the Negev face rocket fire from Gaza. As in the days of old, life is precarious in this vast and formidable region. The Israel Media page attempts to visualize these different regions, geographical features, and other aspects of Israel's history for those who have not been to Israel. This video is of a car driving through the Negev, its terrain visible through the window. More video from the Negev. 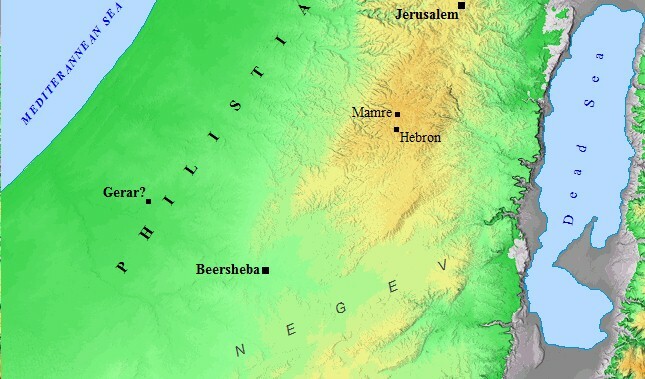 ISRAEL MEDIA offers a variety of links to different maps of the land and Old Testament times and events. Click on a link below to view the particular map. ISRAEL MEDIA seeks to bring aspects of the land of Israel visually to those who have not visited the land, or are interested in Israel and its storied past. This video is an interesting perspective on the prophecies of the Bible concerning Israel and Jews of today. DISCUSSION FORUMS These are the most popular Blog Posts and Discussion Forums on www.israel-a-history-of.com. They analyze and study the history of the Old Testament in relation to historical sources from ancient Egyptian, Mitanni and Hittite history. Do you live in Israel or Palestine? Do you have questions about God, religion, Israel, Palestine, or any other topic? Whether you're an Atheist, Muslim, Christian, Jew, Hindu, Taoist, non-religious, or just curious, we want to create an interactive community of individuals freely and openly sharing their insights, comments, opinions, and questions. Join in on the discussion now! All image and pictures must be in .jpg or .gif format. Are you a student of Israel? Do you love history? Do you live in Israel? Have you been to the Holy Land? Share your thoughts and experiences regarding Israel here! All pictures and graphics must be in .jpg or .gif format. What are your thoughts on the sons of Noah? Do you have further information about Shem, Ham, and Japheth? Post your thoughts, comments, and questions! These are the top 5 viewed pages on www.israel-a-history-of.com.